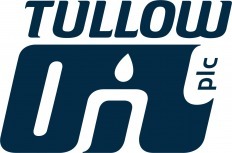 Tullow Oil Ghana Ltd has denied media reports that it has reduced oil production following the continuous reinjection of gas into the wells. The jubilee partners are faced with the challenge to either flare gas or cut down on production. Ghana’s Jubilee oil field is reported to have a current daily production rate of 110,000 barrels. According to the General Manager of Tullow Oil Ghana, Charles Darku, the partners have not taken any decision to flare gas. He said there will be some deliberation with the Ministry of Energy and Petroleum and other stakeholders in the course of the week to look further at the option of flaring gas. “If we were to reduce production then we would lose, so far we have not reduced production so we are not loosing. It’s even not really a loss as such because the oil is still in the ground”, Charles Darku explained. The Executive Director of the Tullow Group, Mark Macfarlane also assured the jubilee partners of the absolute integrity of the reservoirs and wells. Tullow Oil Ghana Ltd is also currently in consultation with the Ghana National Gas Company (GNGC) to explore the option of constructing a by-pass as an option to flaring gas at the jubilee fields. The construction of the by- pass is expected to take three months to be completed and Tullow oil Ghana limited said it is prepared to fund the project. Mr. Charles Darku said they expect the discussions to finalize the agreement on the construction of the by- pass to be concluded soon. Meanwhile, Tullow oil Ghana also expressed confidence that the maritime dispute between Ghana and Ivory Coast will be resolved peacefully by June this year. The disputed territory is estimated to hold about 2 billion barrels of oil reserves and another 1.2 trillion cubic feet of natural gas. This comes after a joint committee was set up by the two countries, which is currently working steadily to address the matter. Ghana was the first to strike oil in the disputed C 100 area along the Tano basin, until Ivory Coast also announced it had struck oil in a block off its shore and adjacent Ghana’s jubilee field.